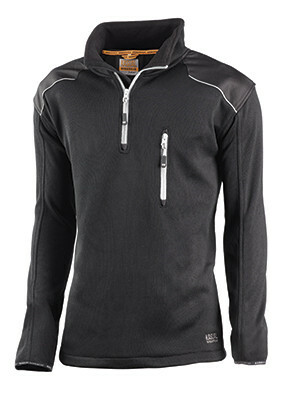 Pullover with reinforcements on shoulders made of Polyester Oxford. Chest zipper and front pocket with zipper. Adjustment cordon on the lower part. 100% polyester of 380 gr/m².